Edward James Olmos (born 1947) is an actor, director and advocate for Latino and indigenous rights, known for his roles in the films Blade Runner (1982) and Stand and Deliver (1988), and the TV series “Miami Vice” and “Battlestar Galactica.” A Los Angeles native, Olmos began his performing career singing in rock and roll bands, then gradually moved to live theater. His breakthrough came in 1978, when he was in his 30s, when he played El Pachuco in Luis Valdez’s pivotal work of Chicano Theater, Zoot Suit. Olmos traveled with the show to Broadway in 1979, earning a Tony nomination, and reprised the role in the 1981 feature film adaptation. He followed with small but memorable parts in Wolfen (1981) and Blade Runner, as well as starring in Robert M. Young’s The Ballad of Gregorio Cortez (1982). Olmos was given a humanitarian award from a group of Native American actors for demanding that the producers of Wolfen receive the sanction of the American Indian Movement for his being cast as a Navajo in the film, the first in a series of principled stances he would take surrounding the portrayal of indigenous people on screen. Olmos gained greater prominence with his parts in “Miami Vice” and Stand and Deliver, using the latter film as a platform to speak on issues of inequality in urban schools. 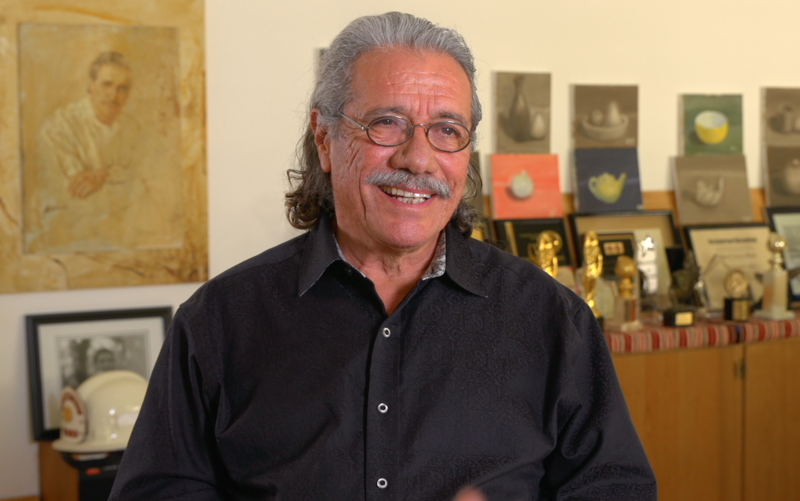 He directed and starred in American Me (1992), as well as directing the HBO movie Walkout (2006) and episodes of “Miami Vice” and “Battlestar Galactica.” Olmos has helped establish a number of programs and organizations, including the Los Angeles International Latino Film Festival and Latino Public Broadcasting. 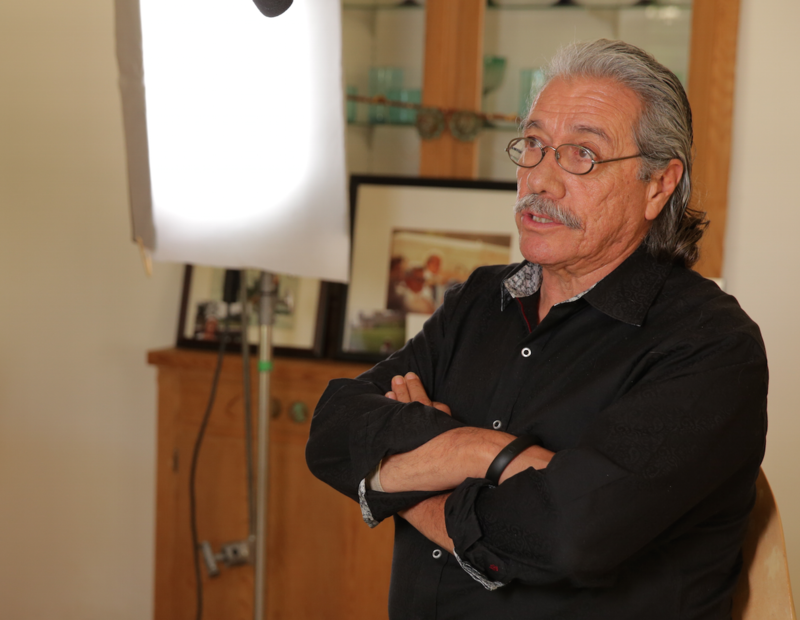 Actor and director Edward James Olmos is interviewed by Lourdes Portillo in his home in Encino, California, on May 15, 2014. It is a co-production with the Getty Foundation’s Pacific Standard Time: LA/LA initiative and is part of the project From Latin America to Hollywood: Latino Film Culture in Los Angeles 1967-2017. Olmos describes his upbringing in Boyle Heights, Los Angeles, during the 1950s. He details being raised by his grandparents and the importance of church and Hollywood films in his family’s traditions. He describes how legendary actor Paul Muni inspired him and how sports and music largely influenced his performance style. After attending East Los Angeles Community College, Olmos’s first major acting job was as El Pachuco in Luis Valdez’s play Zoot Suit in 1978. The play’s use of language and ability to portray Chicano youth culture from the inside made Olmos feel especially connected to the role. After Zoot Suit’s success, Olmos transitioned to film work in a feature adaptation of the play, followed by Ridley Scott’s Blade Runner (1982). Olmos describes his long-term relationship with writer-director Robert M. Young, sharing the process of making The Ballad of Gregorio Cortez (1982) and the crucial role historical research and language played in the film. He then describes his work on Stand and Deliver (1988), for which he was nominated for an Academy Award for Best Actor, and American Me (1992), and how vital giving back to the community through motivational speaking is in his life. Olmos touches upon issues of representation, being a Latino actor in Hollywood and the importance of the Latino market on American culture. 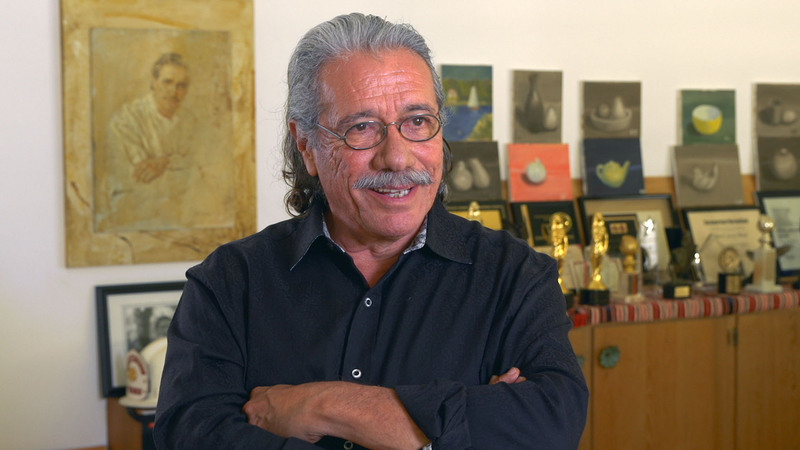 Throughout the interview, Olmos emphasizes his collaborations with other Chicano artists, and the role his work has played in giving visibility to the Latino community. Finally, he discusses his involvement in the Academy and names some important Latinos in Hollywood today.